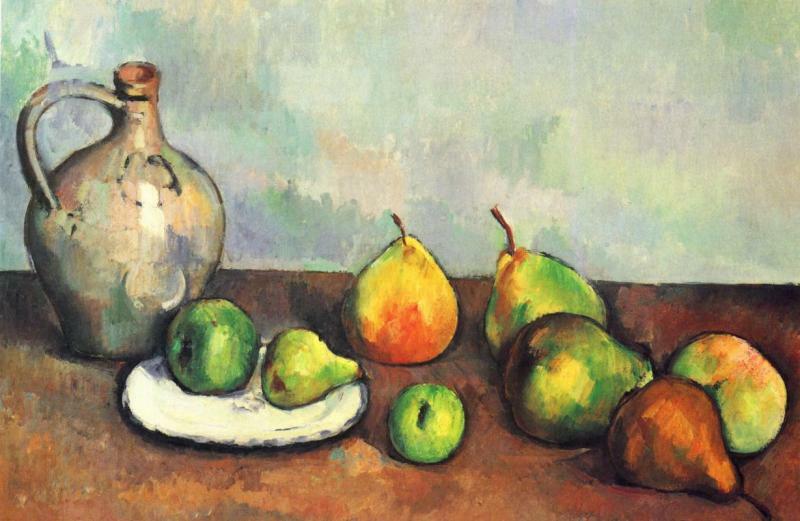 This is a gorgeous colorful vibrant painting by Cezanne. He plays warm colors off of cool colors to give dimension and make tension. The swatches of green, violet, yellow and orange color give the painting a nice unity. The jug reflects all the colors of the painting and gives a nice counter weight to the bright orange pair on the other side.